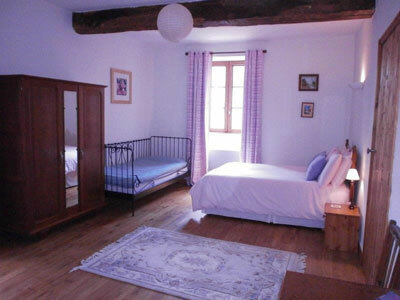 After an exciting day exploring the Perigord Limousin National Park, have a relaxed and peaceful nights rest in one of our tastefully furnished rooms. 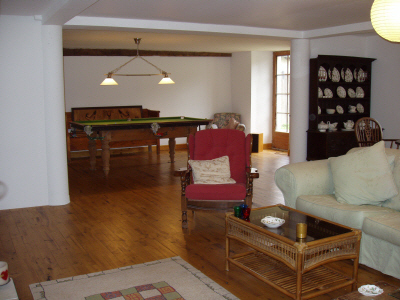 If the weather is not too good or you would just like to relax for the day, there is a large lounge/dining room with adjoining games room, with small snooker table, as well as a small kitchen where guests can make tea/coffee and snacks. 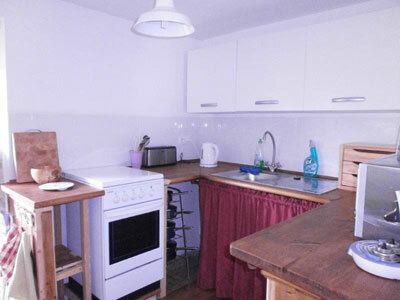 Outside, we have an area for you to enjoy the peace and tranquillity. 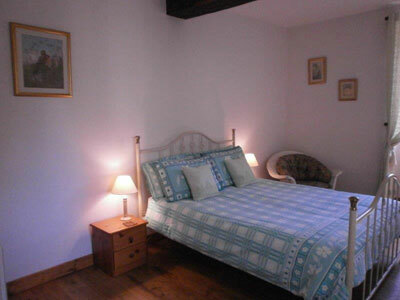 There are three large bedrooms, which have been decorated simply and sympathetically, all named after wild flowers. 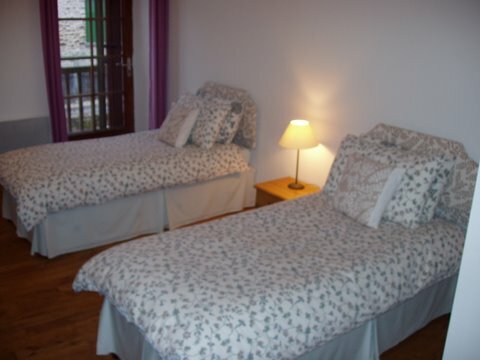 Double Room: (Lily of the Valley, which symbolises sweetness, purity, and happiness. 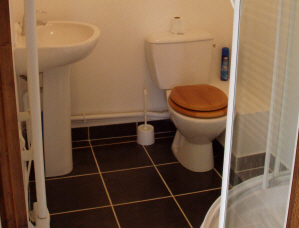 It is sold in the streets of France on 1st May) This room has a king size bed and is accessorized in pale green with an en-suite shower room. 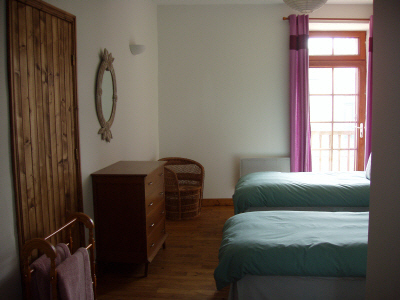 Twin Room: (Iris, which symbolises cherished friendship, faith, hope and wisdom) This is a twin bedded room, and accessorized in pale pinks and greens, with an en-suite shower room. 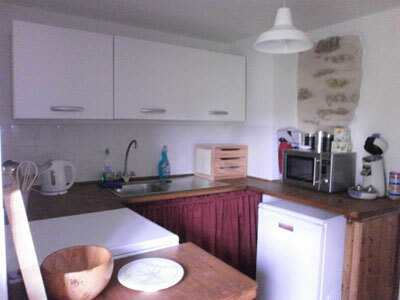 This room has an inter-connecting door to the family bedroom enabling us to cater for a family/group of up to six. 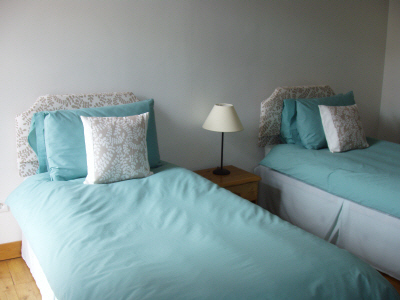 Family Room: (Wild Orchid, which symbolises love, beauty and refinement) This has a double bed and single day bed and we can also provide a folding bed on request. 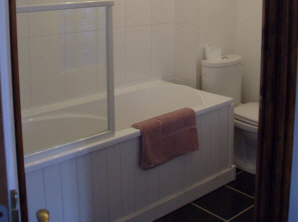 The room has an en-suite with full size bath and overhead shower.